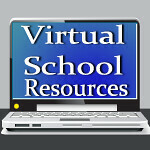 Virtual School Resources: Too Cool For School Giveaway Hop~The Magic School Bus! 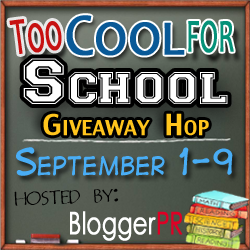 Too Cool For School Giveaway Hop~The Magic School Bus! Welcome! You've found the Too Cool For School Giveaway Hop hosted by BloggerPR! Summer has come to an end. Can you believe it? Many of us have already started school again, but we're still scrambling to replenish those school supplies and get all of the requirements on those supplies lists. To ease the pain of the end-of-the-summer-blues, BloggerPR decided to host a giveaway hop to help everyone win some of those back to school necessities! hop down the linky list below! But before you go, enter to win a 3pack set of the newly released Magic School Bus on DVD! This set is being released for the first time this week! You can read all about The Magic School Bus 25th anniversary in my review where you can also find a link to printables you can use with the DVDs! I'm so excited about this that I'm giving it away on Virtually Yours, too! Each blogger is giving away prizes valued $20 or more, so be sure to visit everyone! They'd like the Good Night Gorilla…and more wacky adventure stories 3 pk. Thanks. Chicken little. Thanks for the giveaway! I think The Pigeon Finds a Hot Dog looks funny! I think they would enjoy Click CLack Moo.